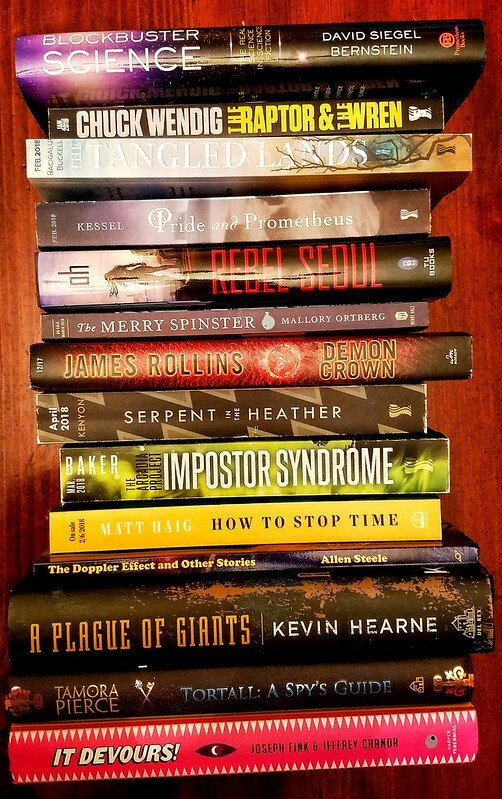 If you don’t mind me saying so, I think we have a particularly tasty stack of new books and ARCs this week. What here is calling to you? Tell us in the comments! Hey! It’s Elizabeth Bear! She’s my Hugo-winning pal! She’s awesome! 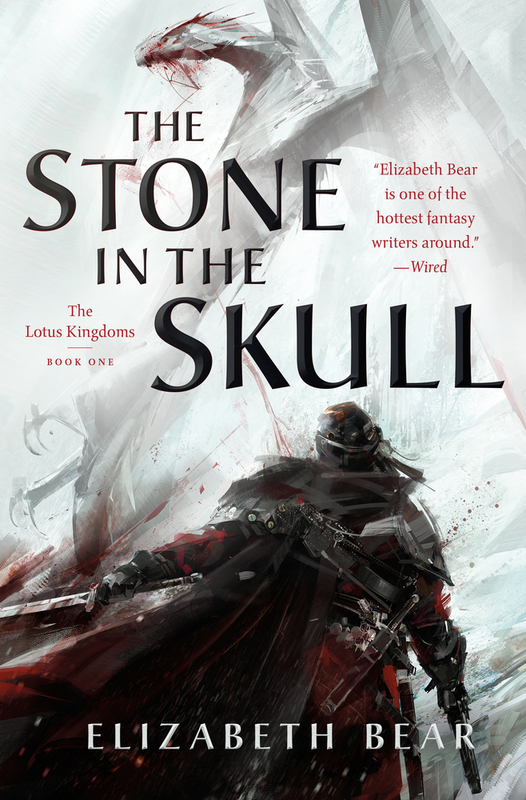 And she has a new fantasy series beginning with The Stone in the Skull! That’s aweseome! She’s here to tell you about it! And that’s awesome too! I’m here under false pretenses. Let’s just get that out of the way. I’m here under false pretenses, because I’m not sure that The Stone in the Skull actually has a single unifying big idea so much as it’s stitched together out of a patchwork tapestry of little ideas that all play off one another, and the story arises from the consequences of those decisions. It is actually natural that it would work that way, because it’s my attempt to meld two of the great traditions of fantasy into one whole. This is a story with sword-and-sorcery roots, and an epic destination. There are four protagonists in The Stone in the Skull. They include (in the order their points of view arise), the Dead Man, raised from infancy to be the personal guard of a Caliph long since deposed; Mrithuri, the young and brilliant but inexperienced rajni of a small but wealthy kingdom that was once the capitol of a now-fractured empire; the Gage, a brass automaton constructed by a wizard who replaced each piece of a living body with metal, in turn; and Sayeh, the widowed middle-aged rajni of another and poorer empire-remnant, ruling as regent for her young son and desperately trying to cling to power for his sake. These are disparate people, set in motion by circumstance–or manipulation–faced with questions both of natural catastrophe and political disaster. But they have something in common, and so does the fractured political structure that they’re moving through: they’ve all in the process of facing and dealing with the aftermath of disaster, and the necessity of putting together something new out of the broken fragments of the old. A mosaic. A resurrection. Which is why I say that the Big Idea of The Stone in the Skull is a lot of little ideas stitched together, I suppose. Because that’s how things–big things, things too huge for one person to do by themself–get built, isn’t it? One piece at a time. One mismatched fragment stitched to another. One fragment in the mosaic, and then another, and then another. The Big Idea of this book is that you can build big things out of little things–small actions, small choices, small loyalties. Small people in a big world, with difficult pasts–but all of them, rising up out of some shattering. All of them, in search of a future, and hope.